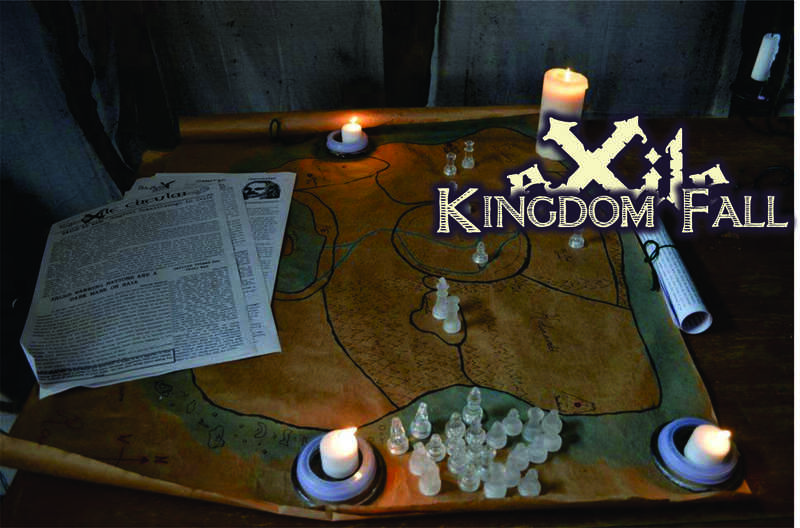 Welcome to Kingdom Fall, Exile’s 3rd Campaign! In order to keep things new, and give new players the chance to start on the ground floor, Exile’s story is told in 2-3 year campaign arcs. In May we start our third campaign, Kingdom Fall, where the town of Brightwater will become the focus of the new Council of Nations. The world is counting on Brightwater to house and protect the new seat of diplomacy, from all threats both foreign and domestic. In addition, this event we will be doing a fundraiser for a friend of the game. Her house burned down and she lost everything in the fire. Exile will be donating some of its income this event, and acquiring and selling shirts for the game at the low cost of 10 dollars a shirt, and all proceeds will go to helping our friend rebuild. As the 10 year winter slowly lifts from Exile, King Hawke has finally decided to re-open the town of Brightwater to non-military settlers. After the war with Laojian-Lu ended, Lightfall’s armies moved to other locations, leaving Brightwater empty and desolate. No civilians were allowed to move back to Brightwater, as the harsh, long winter made it difficult and dangerous to supply. King Hawke thought it better to leave the town bare until he felt it was safe for his people. Now, all over Exile, and in fact the world, people are beginning to prepare for the “Grand Opening” of Brightwater. News that the Jewel of the Crater is going to be the new seat of the Council of Nations has people all over Raia itching to be the first to re-settle the town, believing it to be even more of a chance at riches and fame than ever before. Some diplomats are preparing to move out even before the Council is Officially christened in January of next year, hoping to get in on the ground floor. Others are awaiting news that the town is finally safe to approach. Rumors have spread that the town is in horrible disrepair, and will need maintenance. Some fear that squatters may have taken over, others worry that the harsh weather may have reduced the town to nothing. Some fear that the magic of the crater will have wreaked havoc on the little town, changing its layout, and the dangers in the area. Others are not even bothering to guess as it is the crater, and anything is possible. The first settlers are scheduled to arrive in May of this year, and the world holds its breath, hoping to find the success of the new Council of Nations, and curious to see what Brightwater does to rock the world to its core this time around. Are you up to the task? Can you help protect the fragile peace between nations? Or will you be the reason it falls? Join us in May for the first event of our 3rd campaign! Tags: Event Dates, New Players. Bookmark the permalink.